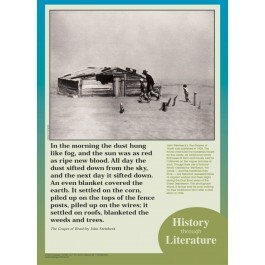 This poster connects John Steinbeck's novel "The Grapes of Wrath" to the period in history in which the novel takes place. 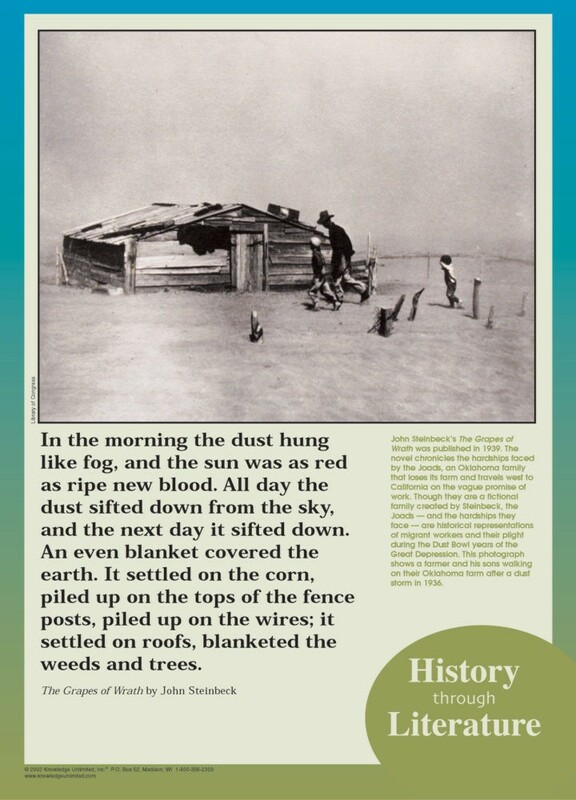 The poster contains a historic photo showing a farmer and his sons walking on their Oklahoma farm after a dust storm in 1936, along with explanatory text that illuminates the connection between literature and history. It also contains a quote from the classic novel.